all bundlers started on this node. can you please explain what AccountPropertyBundler is exactly for? 1) Is this for bundlers that I can start from UI or for one that I will create by creating dedicated JAR file? 2) Will this functionality work for any account that will have "bundling" property set? EDIT: ok, after reading Lior's latest post https://medium.com/@lyaffe/the-account-property-bundler-e70734859e26 all is clear, thanks. Try to invoke the installer from inside the Downloads folder in the finder application. There is some issue with the installer app not jumping to the front when invoked from the Safari downloads icon. installing went fine. 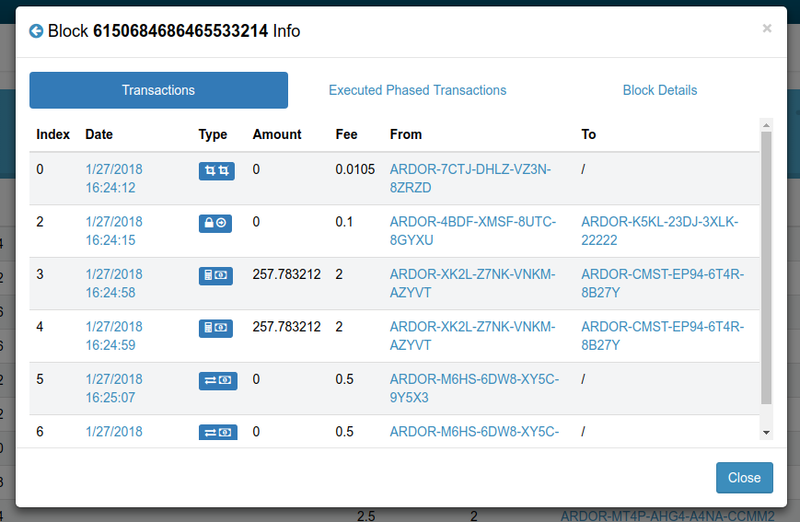 when i open the ardor application nothing happens... usually the ardor symbol came up. on another machine which is not on the latest osx i was able to update without problems. 2.0.12 also ran there. Please open a ticket at https://desk.zoho.eu/portal/jelurida/home and submit the nxt.log from the ~.ardor/logs folder so I can take a look. i don‘t really need support. log contains no new information after the last successful shutdown on the previous os. seems like the application is blocked before starting. just as a heads up. there had been another os update and now everythings is working normal again. Great news, which OS version has fixed this problem? Installation via Unix Installer worked flawlessly. Good stuff. @Lior I tried several configurations. nxt.wellKnownPeers behaves as expected. I currently had to manage a few Ardor nodes by using systemd and LXD. From what I can see, such files are missing from the repository. I like the idea, let me think about it.